I can understand why Christian viewers, especially responsible Christian parents with impressionable youngsters, would have qualms about the film. So do I, but I will largely save them for the end of this article. 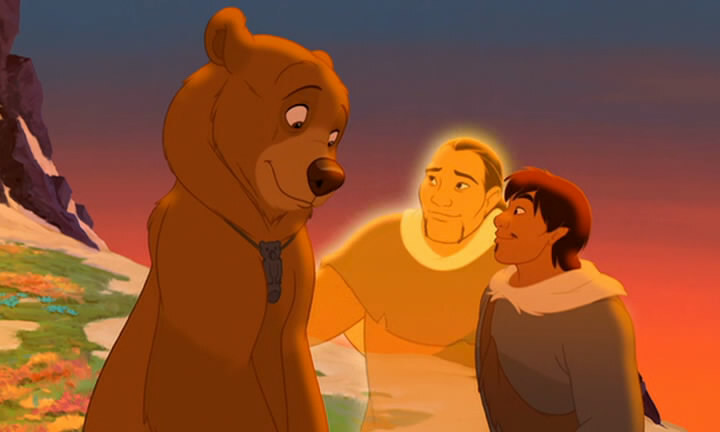 If we begin with what the film does well or gets right, while still being candid about where it falls short as a film and as a moral and theological statement, I think we will find that Brother Bear actually is “worth the time” of the mature, discerning viewer. But enough qualifying. I have divided my analysis of the film into sections on each of its three acts, followed by some concluding critiques. The section on Act One is naturally the longest, as that is the portion of the film that establishes all its core themes. Let’s begin. The first act introduces us to the world and worldview of the film; to the protagonist, Kenai; to his moral failures, and the journey he must take to make amends for them; and to the handful of themes with which the film is concerned. The first of these themes is the way the supernatural (I hesitate to use the word “divine”) interacts with and intervenes in the affairs of man (and beast). The world of the film, as we are told in the first few minutes, is “full of magic.” If the Apostle Paul were to watch it, he would probably tell the filmmakers what he once said in Athens: “I couldn’t help but notice that you are very religious.” The film is about as religious as any Malick film, and this is a characteristic of Brother Bear that both encourages and irks me as a Christian viewer. On the one hand, it’s a reflection of God’s common grace in humanity’s irresistible need to seek after a higher power. It’s a potential “altar to an unknown god” to be repurposed. On the other hand, thematic threads that are compatible with Christianity are messily entangled with a thoroughly pagan framework. In particular, it is eery how the first musical number, “Great Spirits,” a prayer to the spirits and a brief on the film’s moral vision, seems patterned after gospel music (and is annoyingly catchy to boot). But, again, I want to save my strongest criticisms of the film’s worldview for the end. For now, suffice it to say that the film opens and closes with the frame narrative of a shaman catechizing his fire-side audience and telling a parable-like story, and that the parable-like story contains religious ceremonies and transformative mountaintop encounters with the spirits. Moreover, the events of the film are orchestrated by something resembling divine providence. Kenai’s totem is a bear, revealing that the spirits have foreknowledge of what he will do. Sitka, Kenai’s brother, presides over and directs the proceedings in the form of an eagle after he sacrifices himself to save his brothers. (Sitka’s totem is the eagle of guidance.) Kenai is incredulous (we aren’t) that the bear cub Koda happens to be traveling in the same direction he is. Throughout the film, there is the idea that evil deeds can be redeemed for good ends by supernatural intervention. The characters in the film could understand what Joseph meant by those radical words, “What you meant for evil, God meant for good.” This is a very religious film indeed. A second major theme, as one can guess from the film’s title, is brotherhood. The film could be said to be about family in general—mother-son relationships are also integral to the plot, and one song is explicitly about family—but it’s specifically about the bonds between blood brothers and between surrogate brothers. Of course, there is also the theme of brotherhood between man and beast and between all living things whenever the film’s pantheism kicks into high gear. However, this idea is never as prominent as the relationships between Kenai and his two brothers and between Kenai and Koda. Kenai’s relationship with his brothers drives the first act just as his relationship with Koda drives the second. Sitka, the eldest, is like a father to Denahi and Kenai. He is the ideal older brother, marked by an appealing balance of gravity and levity. I am impressed by how actor D. B. Sweeney and the animators do so much with so little to make Sitka a rounded character. His death, after only a few scenes of dialogue, is genuinely saddening, and the way he dies to protect his brothers, and how he continues to look after them after death, is consistent with what we briefly learned of him from his words and actions. Denahi, the middle child, has wisdom as his totem and will age to become the shaman narrating the story. But, as the story begins, he is still immature and constantly butting heads with Kenai—literally. Sibling relationships in the film are often agonistic, and the filmmakers use head-butting to represent brothers whose strong desires are at odds with each other. When they get into a fight, Sitka knocks Denahi and Kenai’s heads together. The moose brothers bump into each other while trying to run away and get their antlers stuck together. The two rams—not necessarily brothers, but the metaphor holds—compete for a female’s attention by, um, ramming their heads together. But the film also presents an alternative to head-butting: roughhousing. Roughhousing is playful competition, an expression of love rather than ego. Now, the cynic may groan at such a corny plot device that blatantly alerts us to the moral of the movie. The film even winks at this complaint when Denahi teases Kenai by giving him a wreath of flowers. Love is often vaguely, mushily defined in mainstream films, exalted as humanity’s telos without the requisite theological understanding that God is love and alone defines what love means. Tanana practically lifts a line from Star Wars when she says that love “connects and unites all living things.” But the film will go on to present love in a way that is arguably counter-cultural. Certainly, it will be in strong distinction to Kenai’s belief that mature manhood means winning every fight. 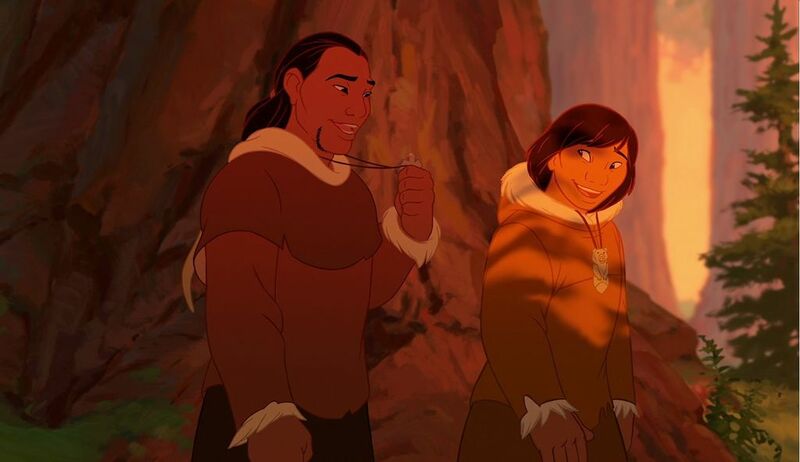 Tanana tells Kenai, “Let love guide your actions, then, one day, you’ll be a man, and we’ll place your mark next to those of your ancestors.” Kenai longs to be a man, and longs to see his hand among the others, but this is not the guidance he wanted. Finally, to add one more theme to the mix—maybe one too many for a 90-minute cartoon for the kiddos—the film also tackles racism. Kenai’s hatred of bears, Koda’s fear of humans, and the misconceptions the two groups have of each other, are clearly meant to allude to real-world conflicts. The parallels drawn are probably too on-the-nose and reductionistic. The film’s proposal for how to achieve racial reconciliation is well-intentioned, but, as I will discuss at the end, doesn’t go deep enough. Before continuing on, it’s worth noting one fascinating sequence of images that captures several of these themes and ideas at once. It occurs during the first musical number while Kenai and his brothers are headed to the village for the totem-giving ceremony. The first image is of two small boys roughhousing. The camera pans right to the second image, showing a mother holding her young daughter. The two rub their noses together, and a cross-fade transition replaces them with a doe and her fawn. They, too, are rubbing their noses together. The camera pan and the cross-fade blend these three tableaux into one continuous movement, cleverly suggesting that brotherhood, motherhood, and the similarities between humans and animals are each foundational to the film’s thematic project. Moreover, the use of deer is telling. It evokes memories of the Disney classic Bambi, implying that Brother Bear is Bambi subverted and reversed. In Bambi, everything was from the animals’ perspective, and the monstrous creature ominously named “Man” was an invisible enigma. 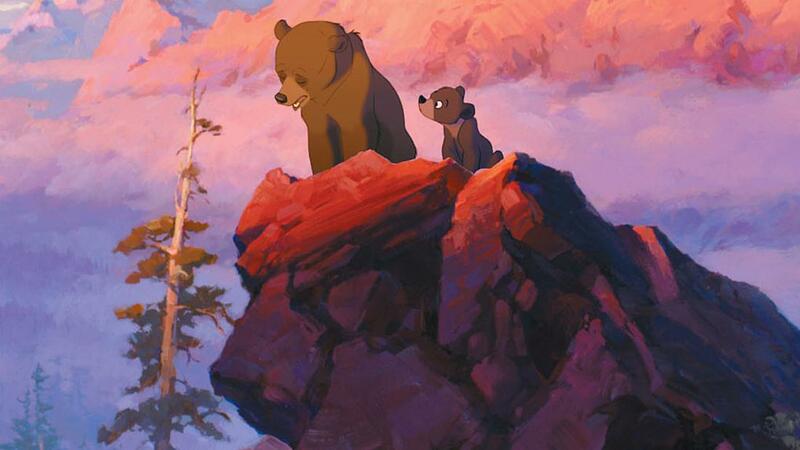 Brother Bear begins from man’s perspective, with bears as the enigma, yet it ultimately presents man as the monster. By turning the man into a bear, it is the story of Bambi if he and the hunter had been given the opportunity to know each other and be reconciled. Denahi: Killing that bear is wrong. Kenai: Wrong? Our brother is dead and it’s because of that monster. Denahi: I don’t blame the bear, Kenai. Killing the bear won’t make you a man. Kenai: Oh, now you’re trying to be wise! Denahi: I’m trying to follow my totem! Why can’t you do the same? Kenai: Do you really think love has anything to do with being a man? A man wouldn’t just sit here and do nothing. Denahi: Kenai! Don’t upset the spirits. Kenai: Hmpf. Spirits. Thanks for your wisdom. In a bloodless yet brutal sequence, Kenai pursues the bear to the top of a mountain and murders it. (Does any other Disney film—or any kids’ film for that matter—have a murderer for a protagonist? Unlike most Disney films, there are also no true antagonists.) Immediately, the spirits, led by Sitka, descend upon the mountain and, in a dazzling phantasmagoria of sight and sound, Kenai is transformed into a bear. 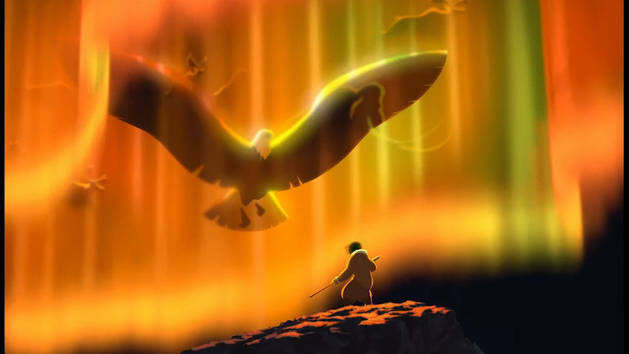 Denahi reaches the top of the mountain after the spirits have disappeared, and attacks Kenai, thinking the bear he sees has killed his brother. Kenai escapes by falling off the mountain and into a river. Denahi succumbs to the same lust for revenge as his brother, and will pursue Kenai for the rest of the film, forsaking his totem of wisdom just as Kenai forsook his totem of love. Denahi will come to represent what Kenai would have become if Sitka and the spirits had not intervened: miserably consumed with rage and grief, and unable to appease either. Up until this point, the film has been presented in a smaller aspect ratio, with increasingly muted, bleak colors. When Kenai wakes in the morning, the aspect ratio is widened and the colors are rich and vibrant. The scene opens on a vista as gorgeous and detailed as any found in classic Disney films taking place in nature. (Bambi again comes to mind.) Moreover, now all the animals are anthropomorphized in the usual Disney fashion, whereas up until now they were presented naturalistically, with black glassy eyes. Speaking of eyes, eyes are an important motif in the film. The animators are able to make a single glance communicate volumes on multiple occasions, and one of the songs sung over the final credits declares, “Take a look through my eyes.” When Kenai is transformed into a bear, he both physically and metaphorically gains “a whole new perspective on things,” as Tanana puts it. When she gets him to calm down, Tanana tells Kenai that his transformation is both Sitka’s work and his own fault. “You got yourself into this mess. If you want to change, take it up with your brother’s spirit. . . . He’ll help you make up for what you did wrong.” Kenai is unrepentant and still in denial of any wrongdoing (“But I didn’t do anything wrong!”), but Tanana disappears and he is left to undertake his new quest: to reach “the mountain where the lights touch the earth”—the place where the immanent and the transcendent meet—so he can be restored to human form. In the next scene, Kenai meets the two moose, Rutt and Tuke. Right now is as good a time as any to note that the film’s chief weakness is the comic relief—and not just the two moose, but the humor in general. Perhaps to counter-balance the seriousness of the first and third acts, the second act includes a lot of pratfalls, body humor, and jokes, but all this threatens to create a tonal imbalance. Moreover, the humor just isn’t that funny. The older I get, the themes of the film continue to resonate and the cinematic craftsmanship continues to impress. But the jokes grow more and more stale. The film still moves me—but rarely to laughter. The moose are not as jarringly out of place as the gargoyles in The Hunchback of Notre Dame, or as insufferable as that snowman in Frozen, and at least they serve a thematic purpose in their final scene. But still, the filmmakers’ greatest miscalculation was to not embrace the maturity of the story as fully as they could have, instead making childish digressions as if to apologize for it. The second act could be said to begin at the moment of the visual change. That is a threshold as clear as Dorothy stepping into Oz. But I’m fascinated by the fact that Koda—the titular brother bear—appears almost exactly at the thirty-minute mark. The next pivotal plot development occurs almost exactly at the sixty-minute mark. The nearly ninety-minute film runs like clockwork and delineates its three-act structure with precision, and this is to its credit. Aside from the unnecessary digressions into sophomoric humor, the screenplay is a masterclass in controlled, deliberate storytelling. Rambunctious, talkative, and exuding child-like joy, Koda is the perfect match for Kenai’s pretensions to being grown-up and superior. Koda will test Kenai’s patience multiple times in the second act, and Kenai’s impatience with Koda—he doesn’t want to hear Koda’s long-winded story—is exactly what forestalls the dramatic plot twist until the third act, just as Kenai’s impatience with tying up a basket was the inciting incident in the first act. Amusingly, Kenai’s lack of facility with ropes and knots becomes a running joke. When Koda first meets him, Kenai is caught in a human trap, suspended in the air with a rope tied around his ankle. Kenai insists he doesn’t need the help of the “dumb little bear” to get free, but Koda dismantles the trap with the single flick of a claw and Kenai lands with a painful thud. A few minutes later, Kenai again makes a proud statement, and immediately trips and falls because the rope, still tied to his ankle, gets caught on a rock. Koda needs to get to the salmon run because he was separated from his mother and expects she will turn up there. Because the mountain where the lights touch the earth is “practically next door” to the salmon run, Kenai reluctantly agrees to accompany him. Meanwhile, Denahi continues to hunt Kenai. And so the second act follows three parallel quests: Kenai’s journey to the mountain to find the spirit of his brother, Koda’s journey to the salmon run to find his mother, and Denahi’s journey to kill his brother, ironically, in order to avenge him. As these three parallel quests are underway, an eagle is occasionally shown, flying overhead or watching from a tree branch. Sitka continues to guide his brothers. Kenai: So, you, you know how they are. They’re killers. Koda: Wait a minute! Who’s the killers? Koda: What? Which bears? I’m not like that, and you’re not like that! Kenai: Well, obviously, not all bears. I mean, you’re okay, but, most bears, most bears will look for any excuse to attack a man. Koda: But Kenai, he attacked us. Kenai: You know, you’re just a cub. When you’re older you’ll understand. In this dialogue that happens toward the end of the second act, just before they reach the salmon run, Kenai is still struggling to reconcile Koda’s worldview with his own. Two earlier scenes show this clash of perspectives quite potently. The first occurs while Koda and Kenai are—ahem—hitching a ride on a mammoth. Yes. A mammoth. The film hits peak silliness at this point. But let’s ignore the preposterous setting and focus on the fascinating exchange between the two bears. It’s nighttime and the northern lights waft above the mammoth caravan. Kenai was taught that the northern lights are the domain of the great spirits. He is surprised to find that Koda was taught the same thing. They essentially share the same religious upbringing. But Kenai is still in rebellion against the will of the spirits. When Koda repeats the same mantra Kenai grew up with, that the great spirits are responsible for all transformations and changes, Kenai lets his guard down a little. “You know, for a change, maybe they could just leave things alone. . . . My brother’s a spirit. If it wasn’t for him, I wouldn’t be here.” Koda asks what happened to Sitka. “He was killed by a bea—by a monster.” Again, Kenai still can’t shake the prejudice that the friendly cub beside him will one day grow to be an enemy. And his lingering anger with Sitka and the spirits is plain. He is still unrepentant. His transformation into a bear is an injustice and an inconvenience, not an act of compassionate, restorative discipline. But Koda’s response is striking. He looks up to the northern lights and says, “Thanks, Sitka. If it weren’t for you I never would have met Kenai. I’ve always wanted a brother.” Kenai is caught off guard by this remark, and so am I. What a strange and wonderful providence this is. 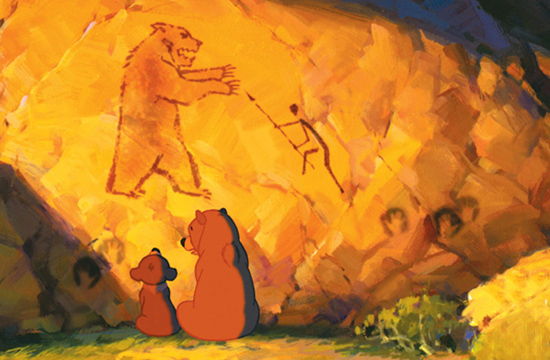 In a second powerful scene where Kenai is confronted with life through another’s eyes, he and Koda find a collage of cave paintings, much like the ones in Kenai’s village. The centerpiece of this collage is a massive, snarling bear, standing on its hind legs, facing a human stick-figure half its size. 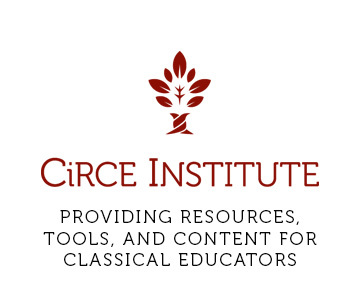 The stick-figure points a spear at the bear’s head. Kenai sees a man in a defensive position. Koda sees something very different. “Those monsters are really scary, especially with those sticks.” Who is the real monster? The bear or the man? In the midst of these narrow escapes from Denahi, these moments drawing Kenai toward a paradigm shift, and the regrettably misplaced antics of moose, rams, mammoths, and bears, Kenai and Koda grow to see each other as brothers. At the beginning of their joint quest, Kenai keeps pushing Koda away from him, telling him to “keep all that cuddly bear stuff to a minimum.” But, in typical Disney fashion, a musical montage, “On My Way,” telegraphs their developing friendship. Kenai eventually drops his defenses, and Koda calls him his brother, curling up next to him while they rest on top of the mammoth. We see the two roughhouse more than once. The most peaceful place I’ve ever been to. It’s nothing like I’ve ever seen before. I see the way we used to be. Clearly, Kenai realizes, bears are not at all like what he imagined. At the beginning of the film, he said, “A bear doesn’t love anyone. They don’t think. They don’t feel.” Now he finds himself drawn into their loving, welcoming fellowship. Separated from his own tribe because of his own selfish decisions, and on the run from his own brother, Kenai has found a community where he feels at home. The gathering of the bears at the salmon run is essentially an annual family reunion. At this reunion, it is customary for the bears to share stories from the past year. When it’s Kenai’s turn, he begins by making fun of Koda for being an obnoxious traveling companion. But then his tone changes: “What do you expect from a little brother.” Kenai has finally accepted and been accepted by Koda and the rest of the bears. This sets the stage for the final act. Most seasoned film-goers probably saw the third-act reveal coming from miles away. The Sixth Sense this is not. But what happens next shocked me as a child, and it still surprises me now—not because Disney buried all the clues (far from it), but because, again, Disney doesn’t usually let their protagonists commit truly horrendous, destructive acts. Kenai is about to learn that, yes, he is the monster, and what he did was monstrous. The movie is—mostly—unflinching on this point, demanding that he (and we) reckon with what his wickedness has wrought. Koda finally tells the exciting story he has been internally rehearsing all this time. It’s the story of his mother facing off against three hunters. But while it’s high entertainment for all the other bears, it is a torture for Kenai to hear. We see the events of the first act from another’s eyes. We hear the bear call out Koda’s name, fearing for his safety. The bear that Kenai called a monster was simply trying to protect her child, the cub he just called “little brother.” Kenai was a relentless aggressor and continued to pursue her, and she had no idea why. And he murdered her. Brother bear, I let you down. And I let you down. “No Way Out” is a bleak song. “There’s no way out of this dark place. No hope, no future.” Hand and paw prints or tracks are a recurring motif in the film. They represent guidance and destiny, manhood, and the differences between humans and bears, all at once. During this song, Kenai looks at his paw print in the snow, and swipes across it to turn it into a hand print. The road back to becoming a man, and to putting his hand print on the wall alongside his ancestors, seems lost. Kenai is not the only one who is sorry and lost. The scene of Kenai’s confession is juxtaposed with a scene of Denahi shivering by a small fire. He’s been hunting the bears for days now, and has sunk into even deeper despair. His spiritual state is represented by his haggard appearance. “I’m sorry, Kenai. I don’t know what I’m doing anymore. I need help.” The eagle appears and signals for Denahi to follow him. Sitka is setting the stage for the final resolution of this drama. It is at this point that the moose brothers redeem themselves, somewhat. Their final scene blends low-brow comedy with thematic heft. They’re arguing because they “totalled a mammoth.” (Haha.) In the accident, one of the moose lost half an antler. He blames his brother and wants nothing to do with him anymore. The implication is that Koda is treating Kenai the same way. But the guilty moose insists he has always cared for his brother, “because I loved you.” He insists, “I can change!” Koda is convicted by this heartfelt exchange, and runs off to find Kenai. This scene is problematic (more on that later), but at least it serves a purpose. The film culminates in a second mountaintop showdown between a man and a bear. But this is not your typical hero versus villain confrontation. It’s between two brothers: one who doesn’t know he’s fighting his brother, and another who is protecting his newfound little brother—Koda tries to come to Kenai’s rescue—from being attacked by his older brother. And the showdown doesn’t last long. Denahi is about to pierce Kenai with his spear when Sitka’s eagle swoops in and the northern lights engulf the mountain. Kenai is returned to human form, and Sitka reveals himself. The three brothers are reunited, wordlessly reconciled of all the hurt they have caused each other. But Kenai no longer wants what he originally came to the mountain to demand. He looks to Koda, alone and frightened, and says, “He needs me.” Kenai chooses to become a bear permanently. Also during this mountaintop scene, there is a moment where the spirit of Koda’s mother appears and is briefly reunited with her son. This is touching, and it carries the implication that she was also responsible, along with Sitka, for orchestrating this drama. After their passing, she and Sitka helped Kenai and Koda find each other so that they would have family in their absence. However, I wish the filmmakers had also included a moment where Kenai apologizes to Koda’s mother and asks for her forgiveness. It’s obviously implied that these two characters are reconciled as well, yet it’s odd that there is no direct communication between the two—not even eye contact. Nevertheless, the scene ends fittingly: Kenai, Koda, and Denahi roughhouse. Again, the film’s verbal presentation of love leaves much to be desired. “Love is very powerful.” Sure, but how? What does this power do? But the film’s narrative presentation of love is much more comprehensive and satisfying. Love, according to the film, is self-sacrifice for others. In love, Sitka patiently mentors his brothers and gives up his life to save them. After death, he continues to love them. Sitka guides Denahi back to Kenai, and in so doing helps him grow in wisdom. Meanwhile, his love for Kenai is tough love. He turns him into a bear, forces him to see the severity of his sin, and gives him an opportunity to claim responsibility for his actions and their consequences. 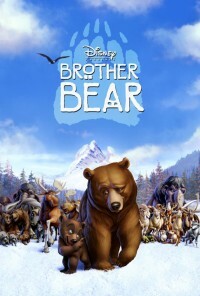 Over the course of the film, Kenai learns to love bears, and he shows his love for Koda by dedicating the rest of his life to looking after him. This, the film suggests, is what mature manhood should be. Kenai places his paw print on the wall at the end of the film, not because of a macho display of strength, but everyday acts of humble service. This statement could describe the hero’s journey of several Disney protagonists. But Brother Bear subverts Disney’s individualistic mythos. To adapt Taylor’s words: Kenai is never told to be true to himself. That would actually be disastrous, because what Kenai learns about himself is ugly and shameful. In biblical terms, he is a sinner at heart, not a saint. Instead, he is told by Tanana to pattern his life after love, something outside himself. In the end, he does not seek his own fulfillment, but another’s good. If Kenai had had his way, he never would have determined that path for himself. At first, he outright rejected it as folly. Others dictated the content of his attainment of mature manhood. The spirits chose his totem, Tanana and his brothers told him to follow his totem, and the spirits set him on a path to reconciliation when he abandoned his totem. If Taylor is right, and my analysis of Brother Bear is on to something, this truly is a counter-cultural message. 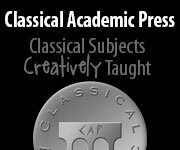 Even so, as promised, I want to conclude with two critiques. Both are responses to the combination of the film’s external pantheism and internal secularism. The film’s characters espouse pantheism, and the film’s creators made the film within a secular framework. Neither worldview is able to address the very serious issues represented in the film: namely, the sins of racism and of murder. Truly brothers all the same. Kenai learns that he and Koda both believe in the great spirits, both unnecessarily fear and vilify an unknown Other, and both have family members and communities that love them. All this is good and true, but it’s also one-sided. The film forgets the importance and goodness of differences, something Christianity champions. The Bible teaches that we are all made in the image of God, that we are all under the curse of sin, and that anyone can be redeemed by the sin-atoning blood of Christ. In this sense, indeed and amen, “we are all the same.” The gospel provides a true foundation for the work of racial reconciliation. But when Christ destroys the dividing wall between Jews and Greeks, he does not abolish all distinctions. They are still ethnically and culturally Jewish and Greek. There will be people in heaven from every language, tribe, and tongue, and not one large, undifferentiated mass. The paradoxical presence of both unity and diversity is one of the beauties of the church on earth and of the church in eternity. I want to love my neighbour, not because he is I, but precisely because he is not I. . . . If souls are separate love is possible. If souls are united love is obviously impossible. . . . If the world is full of real selves, they can be really unselfish selves. But [in pantheism] the whole cosmos is only one enormously selfish person. Second, the film doesn’t offer a compelling way for sins to be atoned for and forgiven. During the credits, Phil Collins sings, “Your forgiveness has set me free,” with a quasi-religious fervor. But from where does this forgiveness come, particularly when the sin to be forgiven is so, so evil? I think it rings false that it doesn’t take much to motivate Koda to forgive the murderer of his mother. He observes one moose forgive his brother for totaling a mammoth and the loss of half an antler. These offenses are laughably incomparable to murder, and yet that’s what is shown to soften Koda’s (justly grieved) heart toward Kenai. Moreover, Kenai problematically atones for himself. Tanana tells him he needs to go to the mountain to “make up for what [he] did wrong,” and to a degree this is right. He needs to accept responsibility for his sin, and shoulder the burden of its consequences. This is exactly what he does. He confesses his sin to Koda, and because it is his fault that Koda is orphaned, he adopts him. And this is very good. But no amount of good deeds can atone for sin. Perhaps the spirits are satisfied with this arrangement, but that suggests they have a lax stance on sin. If the means of atonement are so relatively easy, and if the cost is so relatively cheap, sin is really not so grave. Yet we know cold-blooded murder is one of the gravest sins anyone can commit. It should not sit well with us that Kenai’s redemption is so simplistic, for it trivializes the sin that preceded it. The gospel of secularism says that people can save themselves by their own effort, because there is no divine Lawgiver to call to them account and they weren’t in that deep of a mess to begin with. The gospel of Jesus Christ says that we cannot save ourselves, but Christ can, because our sin really is that awful and pervasive and because Christ really is a spotless atonement lamb. There is no forgiveness without the shedding of blood. Atoning blood has been shed, but that is a word of hope for weary sinners that Brother Bear cannot offer. Charles Taylor, The Ethics of Authenticity (Harvard UP, 1992), 14. G. K. Chesterton, Orthodoxy (Moody, 2009), 197. Quoted in Alan Jacobs, A Theology of Reading: The Hermeneutics of Love (Westview Press, 2001), 1. Robert Brown is a culture critic and academic living in Southern California. After growing up as a missionary kid in Hungary, he moved to California to study Cinema and Media Arts at Biola University and become a director. Instead — plot twist — he graduated with a B.A. in English and now attends graduate school. Robert co-hosts the In the Margin podcast, and publishes his various creative projects at www.robertbrownpresents.com.